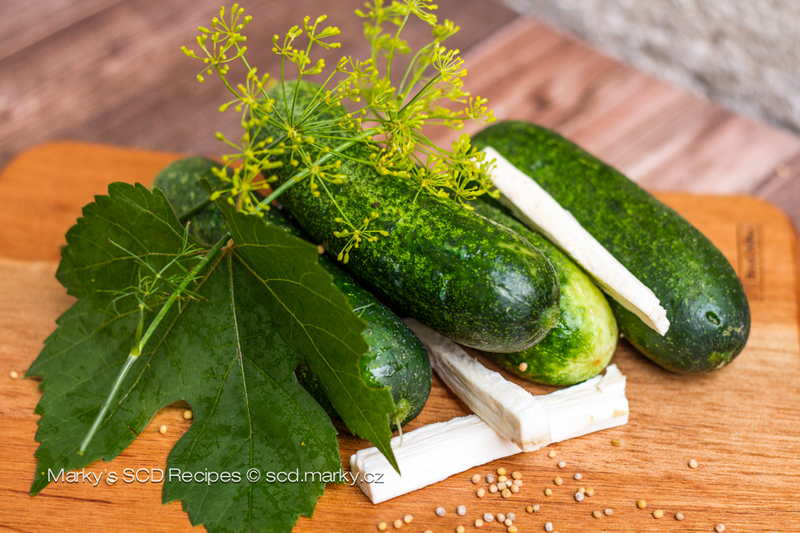 Quick Ferments – Heal With Meal! This is my mom's specialty. When she made them about 2 weeks ago I thought I should use the base of it and add it to the seasonal SCD recipes. 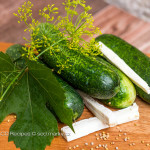 These pickles are very healthy and they promote metabolism, improve intestinal microflora and thanks to the way they are prepared they are raw. Which makes me very happy. And when it's night time and I feel like eating anything, one pickle doesn't hurt at all! 1. First I prepare the mix. Depending on how many pickles you want to prepare. But generally for 1 liter of water you need about 400 grams of salt. I estimate that each jar is about 2 or 3 liters. Bring to a boil and then let cool down. 2. Then prepare the pickles - first soak them, then clean with a brush. Wash the horseradish and wine leaves. 3. Pierce the pickles, so they would soak, peel the horseradish and slice into smaller pieces. 4. Then start stacking the pickles into the jar to the brim (you can also use a stone pot). Put in between them the prepared horseradish, wine leaves and dill. 5. Lastly pour the salty water mix. Add a spoon of mustard seeds. Take care that the mix is about 1 centimeter above the pickles, so the herbs don't float on the surface. 6. Cover with a lid and let it ferment in warmth. Takes about 7 to 10 days, depending on the temperature. Then put the pickles in cold and dark, so the process stops. They should be a little crunchy.